You will earn 837 Reward Points. Earn 1 reward point for every 1 dollar spent. 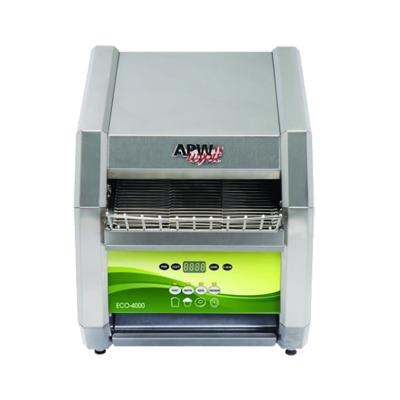 This unit is specially developed for Great Toast and Energy Savings. It also has "Toast Now" technology that allows the user to begin toasting immediately- Just put a piece of bread, bagel, or muffin in, press the appropriate cycle button or having to consume excess energy to keep the unit "ready" for sporadic business- A further energy savings. Its toast cycle is monitored to give consistent toast whether a single piece or 100 pieces are processed. Comes with preset programmable buttons- Set for store menu. It also allows for front and back of store use. All setting are fully adjustable for individual preference.